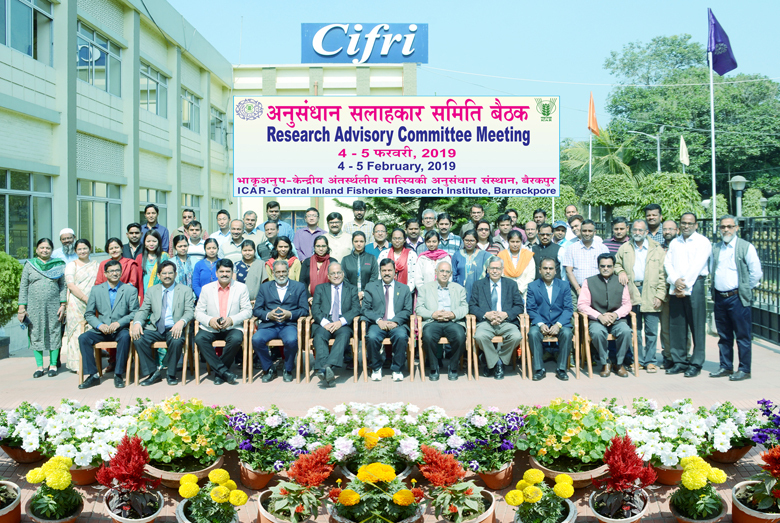 The Research Advisory Committee (RAC) Meeting of the Institute was held on February 4 th and 5 th , 2019. Chairman of RAC Prof. Dr. B. Madhusoodana Kurup, other RAC members Dr. H.C. Joshi, Dr. G. N. Chattopadhyay, Dr. Shivaprakasha. S. M., Assistant Director General (Marine and Inland Fisheries) Dr. P. Pravin participated in the meeting. On the first day, Director Dr. B.K. Das presented the overall achievement of the institute during last one year. Heads of Divisions and OICs of units, regional centres and stations presented achievements made under different institute projects and other activities at their respective Divisions, units and centres. 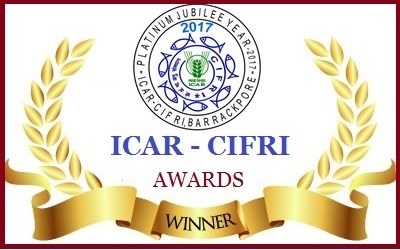 On the second day, different ICAR network and outreach projects were presented by the respective Principal Investigators. Chairman Prof. Kurup and other members expressed satisfaction in the overall progress and also appreciated various initiatives taken by the institute. At the end, chairman and members made their concluding remarks and suggested few points which would be formulated as recommendations of RAC. Director Dr. B.K. Das thanked the chairman and all the RAC members, and ADG Dr. Pravin for their valuable suggestions and remarks which would help the institute to strive for more glory. The meeting was finally ended with formal vote of thanks given by Dr. S.K. Nag, RAC Member Secretary.